G.P. Putnam's Sons, 9780425195444, 464pp. 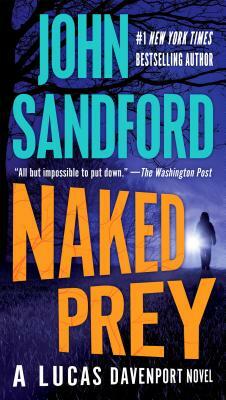 The #1 New York Times bestselling Lucas Davenport novel from John Sandford. Two people are found hanging naked from a tree in the woods of northern Minnesota. What makes the situation particularly sensitive is the bodies are of a black man and a white woman. Lynching is the word everyone’s trying not to say, but as Lucas Davenport begins to discover, the murders are not at all what they appear to be. And there is worse to come—much, much worse. John Sandford is the pseudonym for the Pulitzer Prize–winning journalist John Camp. He is the author of twenty-six Prey novels, most recently Extreme Prey; four Kidd novels; nine Virgil Flowers novels; three YA novels coauthored with his wife, Michele Cook; and three stand-alones, most recently Saturn Run.